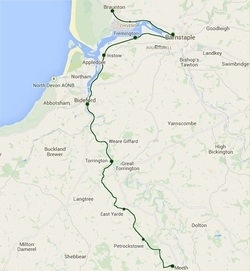 The Tarka Trail in its entirety is a 290km figure '8' shaped long-distance route centered roughly on the town of Barnstaple in North Devon. 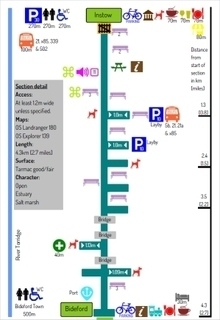 It encompasses roads, footpaths, bridleways and cycleways. 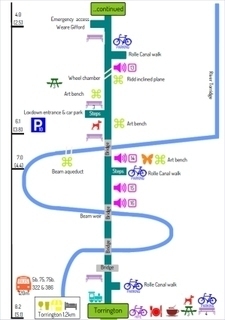 Our guide book focusses on the shared-use section between Braunton and Meeth; a completely car-free route for use by walkers, cyclists and horse riders.